"Nights full of promise" is the title of the new promotion from AccorHotels, whereby you can earn up to 10 000 bonus points (worth 200 € which you can then use to pay for subsequent stays). The promotion requires 3 stays of minimum 2 nights between 4 May and 31 August 2015, if the reservations are made during the month of May 2015. The promotion is open to members of the AccorHotels loyalty programme and only for reservations made directly on AccorHotels websites or mobile app. 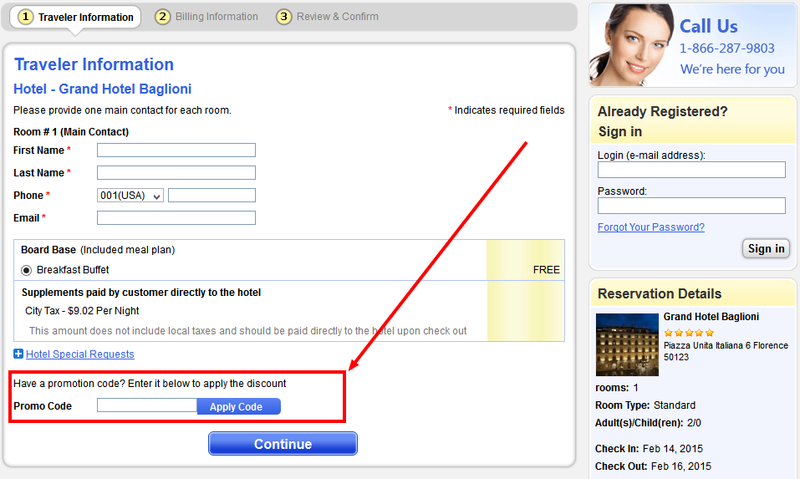 A new HotelsClick coupon code for 10% discount valid for all hotels. 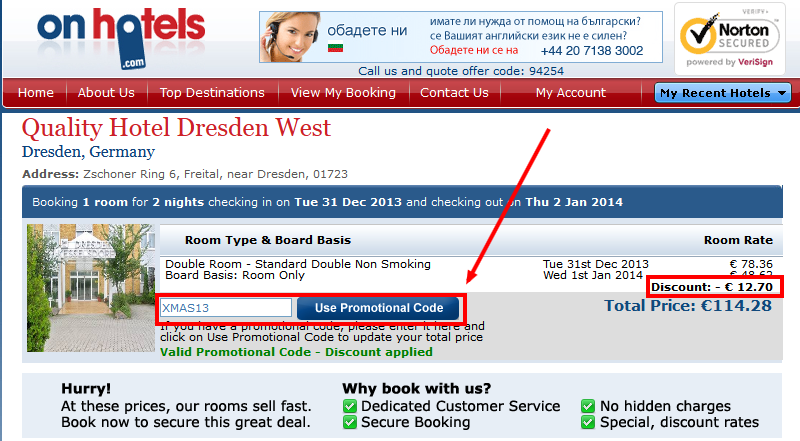 This coupon really makes HotelsClick one of the cheapest online travel agencies you can find. Avalon Hotel Gothenburg**** is a top 3 rated Gothenburg hotel on TripAdvisor. It is part of Design Hotels, an upscale hotel chain with around 250 boutique hotels in 45 countries. For 3 nights stays you pay only 2, meaning a 30% discount at Avalon Hotel Gothenburg. In the search results, this special rate is shown as "Design Hotels 3for2 Promotion" and should appear on top of the page. Rates are cancellable for free up to 1 day before check-in. 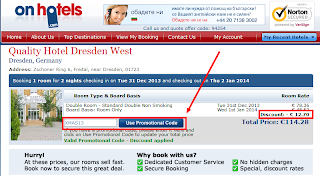 This 10% Hotels.com coupon code is valid for bookings until 1 May 2015. To get the 10% discount, proceed to the reservation as usual, then, in the payment window, look for the section "Apply a discount code", below the total price, on the right side of the screen, next to the credit card information. There type in the code and push the button "Apply". The voucher code is valid only when you select the "Pay now" option to pay online at the moment of reservation (as opposed to "Pay at hotel" option). Find below a list of current Lufthansa discount codes valid for flights from various countries. The vouchers are valid only for itineraries fully operated by Lufthansa (and its regional partners). 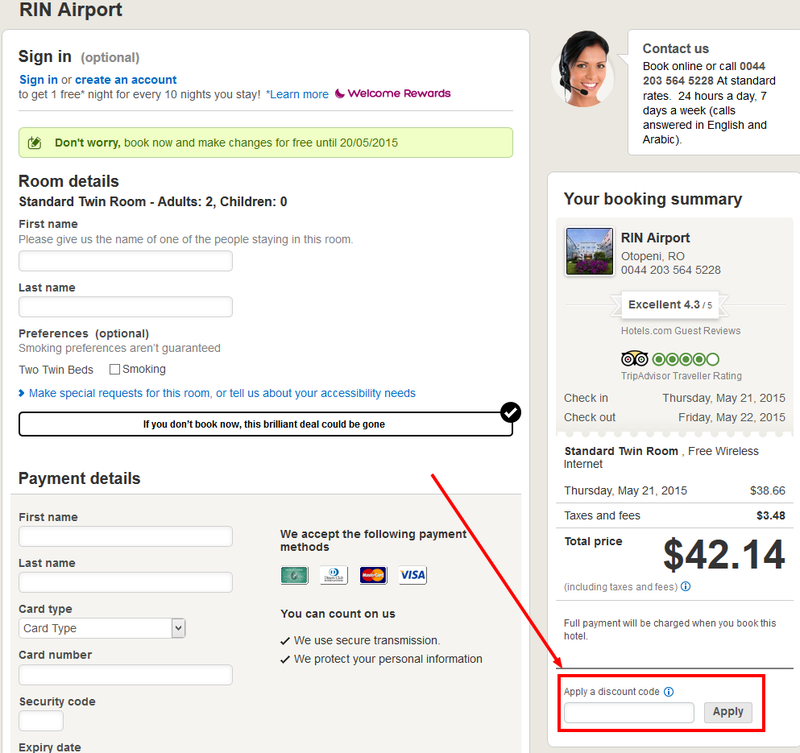 Copy the Lufthansa promo code from the e-mail received and proceed to the reservation. In the payment window, just below the itinerary summary, look for the section "Enter your voucher", paste the code from the e-mail and push the button "Apply Voucher". With this promotion you will get 60 points per dollar spent, instead of 20 points. This promotion is valid for all Club Carlson properties: Radisson Blu, Park Inn by Radisson, Quorvus Collection, Park Plaza and Country Inns & Suites By Carlson. - register for the promotion before you check-out. TravelBird sells the last remaining cabins for the MSC Armonia cruise departing next saturday from La Spezia, Italy. The deal is sold by the Italian office of TravelBird, so all information on their website is in Italian. External cabins are sold for 339 € per person (plus 19 € booking fee), for a 7 night cruise. Internal cabins are sold for just 229 € per person, however we recommend the external cabin, seeing that the price is really affordable. The package includes all meals and access to all entertainment opportunities on-board. Additional costs are the drinks on-board and any trips you might want to take in the ports-of-call. The ship stops in Marseille (France), Palma de Mallorca (Spain), La Valetta (Malta), Messina and Salerno (Italy). Click on the link below to read the full details of the deal and see the remaining rooms. There are still 12 external cabins left. A long-lasting discount code offered by various banks or organisations around the world. Please share with us your experience in using this Hotelopia promo code. Eurostars Hotels is a chain of quality properties mostly in Spain, but with presence also in big cities around Europe. We stayed at Eurostars properties in Spain and we think that they were the best quality / price ratio around. They offer several discount codes which work on several properties at a time. The codes do not work on all properties and at all times, so there is a hit and miss exercise. These coupons should work for travel throughout 2015. Easy Click Travel is a hotel discounter which does not offer such a great variety of hotels, but offers good prices and sometimes even hotel discount codes. They currently have a 40$ coupon code valid for purchases of minimum 350$. This promotion is valid at the selected Radisson Blu and Park Inn by Radisson properties in Europe, Middle East and Africa. The current Rates To Go promo code is 19% and we will keep you updated throughout 2015 for any changes in the RatesToGo coupon codes.